Pakse (Pakxe) is the capital city of Champasak province of Southern Laos, and the 2nd most populous in the country, serving as a major transport and commerce hub for southern Laos. If you plan to go to the Bolaven Plateau, Wat Phou, Si Phan Don (4,000 Islands), the Xe Pian National Protected Area, or Lao Ngam and Tadlo in neighboring Salavan province. Pakse is an ideal base with its relaxing atmosphere on the Mekong and Sedone Rivers, friendly locals, ubiquitous riverside restaurants and bars, and numerous massage clinics. Pakse International Airport is 8 kilometers north of town and Lao Arlines offers scheduled flights to Vientiane (770,000 Kip one-way), Savannakhet (375,000 Kip one-way), Siem Reap, Bangkok, and Ho chi minh city. Tickets can be booked online, through a travel agent, or directly at the airport. Visa extensions are possible at the police station off Th. 10, literally a smaller street left around the corner from the Salachampa Hotel (if you’re directly on the correct street, across the road on your right will be the Champasak Police Headquarters - don’t confuse the headquarters for the station). Get there early in the morning or risk waiting until 2pm to get your paperwork done as they take a lunch break from around 11:30am. The cost is now 20,000 kip per day (as of August 1st, 2016). They no longer accept USD, plus you will need to pay a 50,000 kip “form fee.” Good news for older travellers: if you are over 65, a 30 day renewal is free (confirmed on 2 Feb. 2017). The process is not quite as easy as it used to be, but still fine to do by yourself without a need for an agent; just turn up in the morning with your passport, photocopies (see below) and two passport photos, fill in a couple of forms, and your visa will be ready the next afternoon (no longer same day - and no, there is no "express fee" to make it quicker). It is worth noting that you may be asked for other unexpected fees such as public holiday and out of hours fees. As of August 1st 2016, you are 100% required to get a photocopy of your passport details and a copy of your Lao Visa page (you can't just turn up without them and pay "fees" for them to do it anymore). However, there is an inexpensive photocopy place (that also does passport photos) on the corner of the second junction east of the French bridge on Route 13 (the main drag). I also noticed that the southeast entrance to the Police HQ on Th1 has a copyshop. The French owner of "Miss Noys" (tour agency and bike rental place on the main strip towards the bridge) can tell you where to go and what you will need if you get stuck (he is friendly and very helpful). It is also possible to catch a 2 hour return local bus trip to the Thai border to acquire a new visa. The regular slow-boat service to Don Khong is no longer operating, but you can arrange for a private charter from the hotels and travel agents but it's very expensive. Quoted US$250 so ideally shared with others and negotiate hard to lower the individual cost. There is an ad-hoc boat service opposite the Inthira hotel in Champasak, 30km south of Pakse, price on application and can be arranged from the hotel. It is much more expensive than overland travel, expect to pay US$100+ per boat, seats approximately 6 people with luagage. Chitpasong Bus Terminal (aka VIP bus terminal; 15.118067, 105.796653) is the most likely bus station you'll arrive at or depart from if you are traveling between Pakse and Vientiane, which is next to the Sedone River and close to the old French Bridge, near the Champasak Shopping Center (supermarket is at 2nd floor), and in the town center. Tickets to Vientiane cost 170,000 Kip (October 2014), but keep in mind this is for half of a bunk that is shared with another person. If you want a bunk for yourself you will need to purchase two tickets (in the low season 300,000 Kip). You can buy the bus ticket from the 3 ticket counters in the bus station, please choose the middle ticket counter for bigger & more modern sleeper bus (October 2014). Kriang Kai Bus Terminal (aka 2km bus terminal; 15.117385, 105.820559) has older sleeper buses to and from Vientiane (170,000 Kip for shared bunk), and is the arrival point and departure point for the international bus from/to Ubon Ratchatani (3 hours 200 Baht) or Bangkok in Thailand. Samlors and tuk tuks will transport you to the town center for about 15,000 Kip. The Northern Bus Terminal (serving locations north of Pakse) is located about 10 kilometres northwest of the city centre (15.1700 105.7600). Transportation via songthaew to the northern bus terminal is sometimes available at the northeastern side of the market opposite the shopping center (please find out what days/times). The Southern Bus Terminal (aka 8km Bus Terminal) is mostly used by locals, with slower local buses, and is located 8 km to the east of the city center (15.113957, 105.875482) (30,000 kip by moto to the centre, or 10,000 kip in shared tuk-tuk). Songthaews to Si Phan Don 40,000 kip per person. Transportation via songthaew to destinations outside of Pakse is available at Dao Huang market and the 8km market. Most of the services you will use as a tourist are in walking distance from the city center, including the restaurants along the river front, pool halls and the (currently closed) bowling alley. Further destinations within town will require a tuk-tuk ride or renting a motorbike. Tuk tuk rides charge per person and are about 3,000-20,000 kip for short rides and 10,000 to the further bus terminals (although due to language barriers, 20,000 kip can be confused with 70,000 kip). Songthaews can be hired throughout the city, particularly around Road Number 13. Pakse is a good base for travel to the Bolaven Plateau where coffee fields and waterfalls galore await, the idyllic river islands of Si Phan Don, also known as 4,000 Islands, eco-tours, trekking and village stays in Sepian National Protected Area, the Angkor temple complex Wat Phou, and to the indigenous villages and waterfalls of the Tad Lo area of Lao Ngam district, Salavan province. Pakse itself makes for a great staging point for archeological tourists in this part of Laos for two reasons: 1) it is where the Champasak Provincial Museum is located as an introduction to local archeology, and 2) it is an alternative to Champasak city as a staging point for those wanting to see Wat Phou. Wat Phou is a designated UNESCO site and boasts of as Laos’s counterpart to Angkor Wat/Angkor Thom: its the finest of its type outside Cambodia. The museum is located close to the new market, 500 metres north of the banks of the Mekong. It’s possible to organize a day trip to Wat Phou near Champasak, where you can also stay easily. Rent a motorbike and head east toward Pak Song (Paxxong). The ride is pretty, and there are heaps of waterfalls to stop by near Pak Song. The Champasak Provincial Tourism Department puts out a nice few nice brochures including one on the Bolaven Plateau that details these including Tad Fane, Tad Champee, Tad Ueang, and Tad Pha Suam. Admission tends to be the same at every place: 5,000 kip per person and 3,000 kip for a bike. These are several Internet cafés on the corner of the main street. They charge around 6,000 kip per hour. The smart new Tour Lao Café on the southern end of the market plaza has WiFi. As in Vientiane, there is also a proper bowling alley located in town. A 15- to 20-minute walk away from the centre or a short tuk-tuk ride away head down the main road and turn right toward the big white building in the distance. It is not far away from the river, so if you are over there already you can walk along there to find it. Be warned, though, that if you want a ride home you should negotiate a tuk-tuk to stay since you won’t find many patroling there, especially later in the evening. Pakse is a great place to get massage as there are a variety of places. Most of the massage places are aggregated just south of road 13 near the shopping mall. There are several riverside restaurants/pubs, many playing live music in the evenings, lining the Mekong River that many visitors to Pakse unfortunately don't visit. Pakse hosts two major markets the Dao Heuang and the Champasak. Both markets cater more to locals than tourists but are still worth a look, particularly if you are interested in clothing, jewelry, housewares, healthcare products or to see the open air food markets. Both markets offer plenty in the way of cold drinks and Ice cream, as well as roasted bananas and other street foods. Either market tends to have a different name depending who you talk to, so it may help to have a map to point to if taking a tuk tuk. The huge Dta lat Dao Heuang (New Market) is about 2 kilometres south-east out of town on Road 13 near the Japanese bridge over the Mekong. Definitely take your walking shoes if you intend to see most of the market with endless rows of shirts, traditional skirts and jewelry stores, as well as a fish, meat and vegetable section. Most meat is sold early in the day before the heat gets to it, so get there early if you are interested in the bustle of traders, not the the bustle slows down much for the rest of the day. The smaller, but closer to the tourist hub, Champasak Shopping Center market (also known as small market or Champasak Plaza) which is 500 metres south of the town centre near the Xe don River, N.W of the No. 10 and No. 46 intersection and covering 2 blocks. If you are after some cheap homeware products there is a row of "8000 Kip" stores similar to western $2 shops with set prices if haggling is not your strong suit. Just behind these stores is the food market where you can get a whiff of the fermenting fish sauce. Occasionally free concerts and performances are held at this market, although this is related to events and not necessarily a frequent occurrence. This market is a great place to hire a Tuk Tuk. Market closes around 7-8pm depending on how sales are going. BCEL Bank (on Th 11, just next to Wat Luang in the town centre) changes money, cashes traveller's cheques, and does cash advance on credit cards. There is also an ATM in front of the building that now accepts most foreign cards. There are a lot more ATMs in Southern Laos these days. When heading south this used to be the last ATM until Stung Treng in Cambodia although food stalls on the Cambodian side of the border will gladly change dollars,kip, and Baht at unfavorable rates. There is now an ATM in Attapeu. All ATMs charge a 20,000-kip fee per withdrawal with a 1,000,000 kip per transaction maximum. The Lao Development Bank to the north of the city can exchange kip to dollars, vital if travelling overland to Vietnam. Across the road, directly opposite the bank is an ATM that accepts international cards such as Cirrus. There is a limit of 700,000 kip per transaction, although you can withdraw numerous times. Those who are heading to Cambodia should gather a few riels to tide you over for your first few hours in Cambodia from the Lao Development Bank at No.13 Rd. They close at 3:30 pm. Formerly Mekong side bars and restaurants along 42 Road. The Mekong river front has been mostly been cleared to make way for the construction of an esplanade, similar to Vientiane's (although no sign of construction can yet be seen), however the floating restaurants remain, as do those on the other side of the road away from the river, while small stalls still dot the area along the riverfront. Restaurants that were affected by this constuction have relocated to 42 Road, which is your best bet for nightlife in Pakse, with local outfits offering mainly Thai/Lao cuisine, cold beer and often live music. This street is popular with locals looking to liquor up before heading out to more expensive night clubs out past Champassack Stadium. Guide books and Internet sites focus on the main street between the roundabout and the French bridge, and many visitors miss out on the river front experience. Most restaurants that cater to tourists have free wifi, particularly those on 13 Road. Many bars adorn 42 Road side by side, walk along and take your pick. Lao-Korea Restaurant is on Road No. 38, halfway between Athena Hotel on Rd. 13 and the Dao Heung Market entrance on Rd. 38. This Korean-owned restaurant serves authentic Korean food, such as bibimbap (40,000 Kip) and even Korean barbecue options such as samgypsal and bulgogi (starting at 120,000 Kip per plate for two). Fun and delicious. Baguette stalls and noodle soup restaurants can be found all around town. A small paté baguette costs 5,000–6,000kip and a bowl of noodle soup costs between 15,000-20,000 Kip. 46 Road Vietnamese. edit 46 Road east of road 24 hosts a range of Vietnamese stalls including purportedly one of the few 24 hour restaurants in town, specialising in Pho and other broths. 2B Travel - Bar This small bar just opened its doors. It's close to the Vietnamese consulate and Sabaidy 2 Guesthouse and Thaluang Guesthouse and near Route 13. This small bar offers free travel information and has a small menu with snacks, breakfast and sandwiches. Beer Lao is 10,000 Kip. Beerlao (standard, Gold and Dark), Nam Khong Beer, Tiger, Heineken, ABC Draught, Huda and Carslberg available. Most hotels and guesthouses in Pakse can be found along the main street between the French bridge and the roundabout or a short way into its side streets. Prices in Pakse can be higher compared with the rest of the country, even with Vientiane. Lan Kham Hotel, on road 13 opposite the Lao Development Bank, is clean. Twin room with fan, toilet, and shower for 90,000 kip. Twin/Double with aircon, TV, and fridge for 100,000 kip, Free WiFi but only at reception. Has been made popular by travel guides and other places offer a better standard for less cash. They offer motorbikes for rent but potentially because of the popularity of the place and the fact that they draw a younger backpacker crowd, most are well used. Check your bikes tires, handling and brakes before agreeing a rental. As of April 2014, the only place to rent bigger 250cc dirt bikes, not normally out front but parked at the back of the hotel. All old and well used, not worth the 380,000kip per day fee. Pakse Hotel  (near the Champasak shopping centre) offers a broad range of rooms. A great hotel with nice rooms, good service, helpful staff, and a lovely rooftop restaurant. Room comes with good buffet breakfast. An economy room with ensuite bathroom is 200,000 kip. They can arrange tours to nearby sights. Champasak Palace Hotel, the former royal palace on road 13. Bolaven Plateau - rent a motorbike. All roads are in good condition by Laos standards, no need for an off road or performance bike, a Honda Wave is easily enough even with a passenger. All places that offer motorcycle rental will provide maps. Average time to complete the loop is 2-3 days, but it could be done in one if you don't plan to visit the natural wonders along the way. Tadlo - A village in Lao Ngam district, Salavan province. Mainly comprised of guests houses catering to those doing the Bolaven Plateau loop. Laid back place with quite a number of 'traditional' backpackers who went for a night and never left. Several good waterfalls in the area and some trekking opportunities. Si Phan Don - Also known as 4,000 islands, is less than 3 hours away. Relax here for a few days by the Mekong river. As of April 2011, a ticket to and from Vientiane cost 210,000 kip per person when a one-seater bus is available (Kieng Kai bus company only), 170,000 kip to share a double with another stranger or 340,000 kip for double with lone occupancy if a one-seater/sleeper is not available, or you don't mind spending the extra Kip for the comfort. Chitprasom buses tend to be newer as Kiang Kai has been around longer and has not updated its buses. When traveling from Pakse to Vientiane, you might consider taking the Kiang Kai buses, as they will drop you off in the Vientiane town centre where their corporate office is located—a 2-minute walk from the Cultural Hall. All northbound buses, however, do stop at the Vientiane bus station, which is 9 kilometres from the town centre. If you are coming from Don Det and have not bought a through ticket, you can either get off at the Kiang Kai terminal and buy ticket there, or wait and get dropped in town and buy your ticket for Chitprasom. Laos Airlines have a regular scheduled flights from Pakse to Vientiane, check their website for days and prices. Considerably more costly that a night bus but only takes 1 hour 15 minutes. Very small airports which results in a fast and efficient service. The bus to Savannakhet cost 40000 kip and leaves from the small shopping mall across the Champa hotel(exact location 15°07′01.59″N 105°49′14.34″E). The bus leaves every hour or so. There are several buses everyday to Attapeu (5 hours - via Sekong) leaving from the KM 8 southern bus station. Some useful morning buses are 8am, 10am. 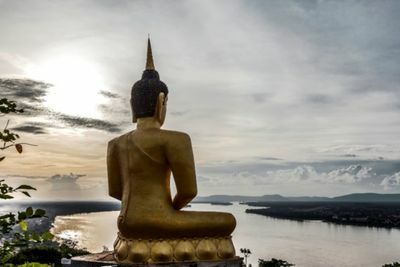 Cambodia - Travel onward to Cambodia from Pakse is now possible (as of March 2011), with visa-on-arrival facilities now in place at the southern border with onwards travel to Strung Treng, Kratie, Phnom Penh, and even Siem Reap. Check transport providers carefully as some travellers have been reported being left at one destination, when they were booked for another. Aug 2011, a single bus ride on VIP coach from Pakse to Phnom Penh, 13 hours, the fare is now 210,000 including tuktuk pick-up from hotel via agent (Laos Adventure travel www.laoadventuretravel.com). For thise wishingto arrange themselves: the bus station is more than 5 km to the east, which costs 20,000 kip by tuk-tuk and the bus fare is $US27. There is only one departure time which is at 8:00 am (although stated in the ticket as 7:30 am). However, others report the cost starts at 300,000 kips for the direct bus, but can be nogatiated to 260,000. 20 minutes on the last stop to the border, a fairly neatly groomed man will appear together with other foreign passengers. Holding a stack of passports collected from the foreigners that he tags along as he gets in the bus, he walks the aisle, announces that the border is near and those who have no visa should ready their $US30, distributes the Cambodian entry card and instructs everybody to fill it up. Those who already have visa should still ready their $US6 (reasons unknown but it may be the price of the departure stamp on the Laotian side, the entry stamp on the Cambodian side plus the Cambodian immigration card to be filled up included in the passport). This expediter instructs everybody to stay in place in their seats unless they want to unwind and stretch. As soon as he collects them and the bus stops, off he disappears just the same way as he appeared. After 40 minutes, he comes up and returns the passports stamped, with the visa sticker for those who have none, and the immigration card stamped and stapled. Update 2015.----- Everyone can do same procedure by themselves. It has been reported that some passport gone missing. So do not give your passport to anybody when u want to have a nice trip further and not to run to embassy to get a new permit. Update 2019 - - to avoid the above border scam/hassle it's worth applying for your visa at the Cambodian consulate about 8km east in the direction of the bolaven plateau. A friendly staff will make your visa on the spot (about 15 minutes) for $30, same price than at the border minus the hassle. Paying with Lao kip instead of $US will cost you more. The consulate closes between 11:30 (or earlier) and 14:00 and during weekend. Note that the border officials will still demand $2 for stamps on each side. Warning: For those proceeding to Cambodia by bus and making a pit stop at Pakse, dazed and just rudely awaken from sleep, do not ever be convinced to buy VIP bus tickets right away upon setting foot at the bus station. Guiltless tout/drivers will sales talk you to buy them at $US 75—a blunder that should have covered the cost of air ticket from Vientiane to Phnom Penh. Or if you have the stamina to walk with your luggage for about 500 metres north where agencies line their main Street, you can proceed to buy the ticket or, better still, directly flag a tuk-tuk to the bus station to where the Cambodia-bound buses depart, and eke out an additional 13 hours of cramp-inducing trip. Better still, if you have one day available, stay for the night (for 100,000 kip) and leave early morning. The best offer so far is by Laos Adventure Travel at Road 12, off their "Main Street" after a few blocks east of the bridge, (Bhan Lak Muang) for 210,000 kips or $US26 compared with the rest of agents starting at 230,000 kip and above. (Edit January 2019) although Lao Adventurer Tour claim the trips to Siem Reap/Phnom-Penh are using Vip buses you'll end up crammed in a succession of minivan 30% over capacity and treated like cattle arriving hours after the scheduled time. There are two ways to get between Pakse and Ubonratchathani (Ubon - also spelt Ubol). International VIP bus From Pakse there is a direct VIP bus to Ubon with two departures per day from Pakse 8:30am and 3pm. The bus departs from the International bus terminal at KM2 bus station, costs 60,000kip or 200baht and takes about 3 hours to reach Ubon. Minivan to Vangtao/Chongmek border While not as convenient as the international bus, if you are planning to catch the 12:45 NokAir flight from Ubon the international bus is a bit tight and the minivan option will enable you to get the airport in plenty of time. Minivans depart from the roundabout near the Pakse New Market by the bridge over the Mekong River and depart when full. Minivans start very early from around 6am. To make the 12:45 flight, a minivan departing Pakse around 7:30 should give you plenty of time. The minivans on the Lao side will take you only to the vangtao border and cost 20,000 kip. Minivans depart when full but generally don't take long to fill up. Once you arrive at the border check point it is a 5-10 minute walk to Lao immigration. If you have a lot of bags you can hire men with carts to carry your bags all the way to the Thai side of the border. They will walk with you all the way until you reach the Thai immigration and then they'll meet you at the exit point. The cost for a cart is 80baht. Immigration on both sides is fairly straight forward. Once you get through you can hire a private van to take you direct to Ubon (for about 800-1200 baht), or you can get a tuktuk from the exit to Thai immigration to the Chongmek bus station - about 1km down the road - for 20 baht per person. Public minivans from Chongmek to Ubon bus station cost 100 baht and leave every half hour. Plan 2:30-3 hours by minivan for the full trip from Pakse to Udon. Different bus companies and travel agencies offer bus tickets to (central) Vietnam. Mostly using the Lao Bao border crossing. Destinations are for example Danang, Hue, Dong Ha and Kongtoum. Keep in mind that tour operators will state a travel time that is much shorter than in reality. Also they tend to show pictures of very modern VIP or VIP sleeping busses. While in reality you end up in a very old and uncomfortable bus. All to sell you their tickets.